Thane Karl has raised an army against King Gunther! In his own turn the King has called his warriors to him. So they march to war. The only way for Karl to win is to capture and kill Gunther, all the King must do, is stop him. 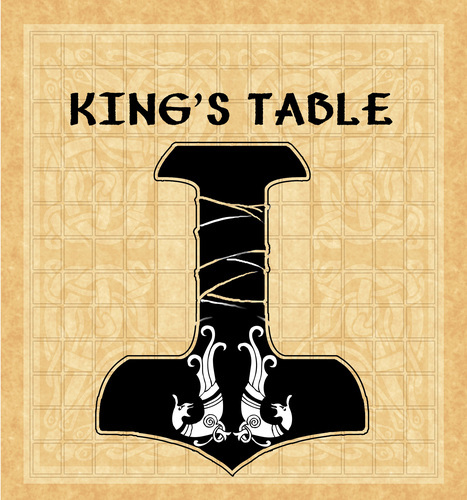 King's Table is a game that predates the medieval era, at least as far back as the Viking realms before the invastions of Britain. Its a simple game of strategy in which one side must capture the king.